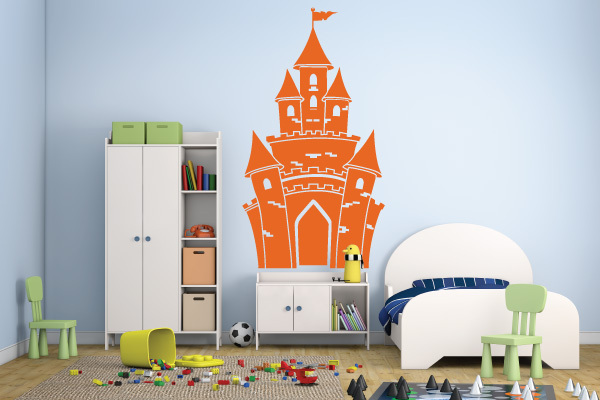 Transform your child’s bedroom into a fun and magical place. 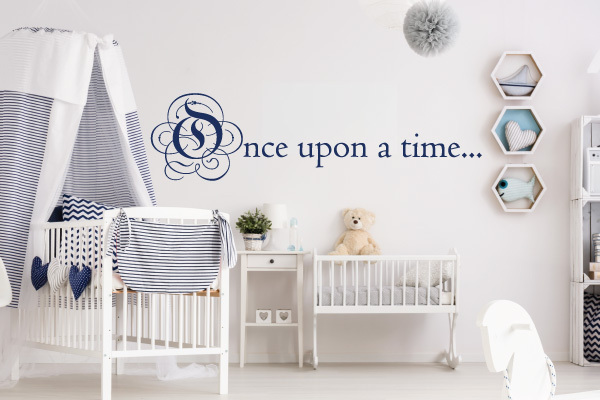 Make it special by including a whimsical wall decal that kids will really love. Where ever their imagination leads them, we’re sure to have the perfect image. Not to mention, we make it easy to assemble and take down so you can have fun with new stickers all year long. Check out 10 of our favorite options on the site currently! 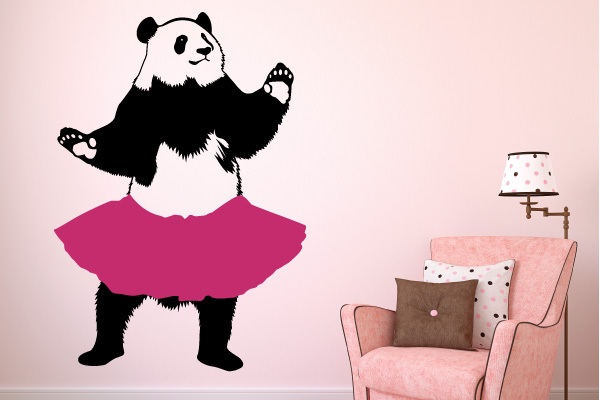 Your child will love this twirling panda in a tutu. Simply install the panda and overlay with the colored tutu of your choice. This wall decal comes in multiple sizes and choose from 32 colored vinyl options for the tutu. 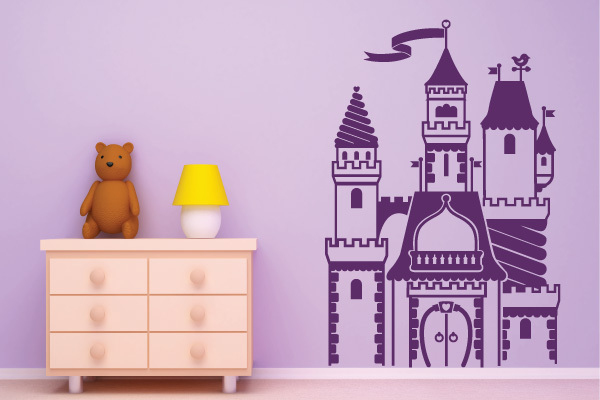 Bring the fairy-tale kingdom right to your little princess’s or prince’s bedroom with our magical castle wall decals. Our castles are all available in our 32 colored vinyl options and various sizes, so you can create a truly personalized experience. Let their creativity take them to new and enchanting places! Let the fairy-tale begin with this classic phrase that we all know and love. Have your child tell their own special story using this magical sticker as a great starting point. Choose from multiple size options and 32 wonderful colors. 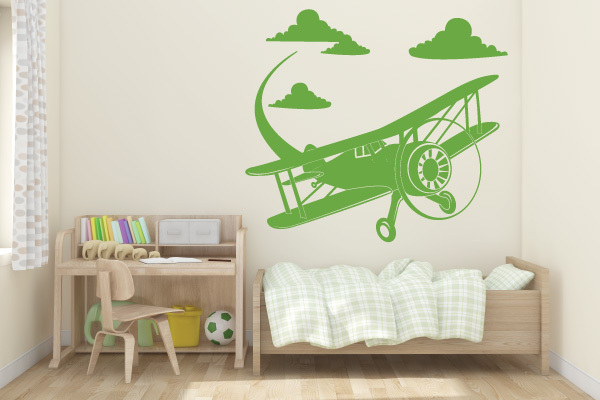 Take your child’s imagination to new heights with our airplane decals. Here you’ll find an adventurous biplane soaring through four puffy clouds. You can almost hear the whoosh of its propellers. Perfect for those who see more than just clouds in the sky! 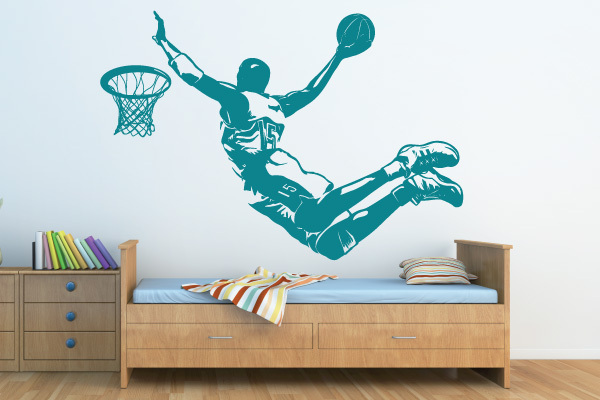 This is a sure slam dunk in any sporty child’s (or adult’s) bedroom. Check out this action decal of a basketball player about to score. Take your pick of any of our 32 colors and various size options. Who could be scared of these adorable beasts of the jungle? 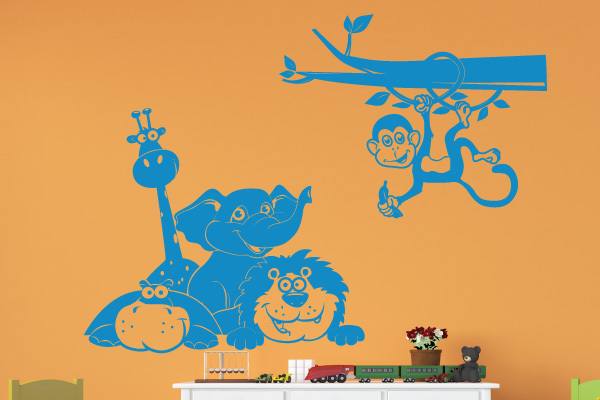 Your child will love this exotic and friendly wall decal! 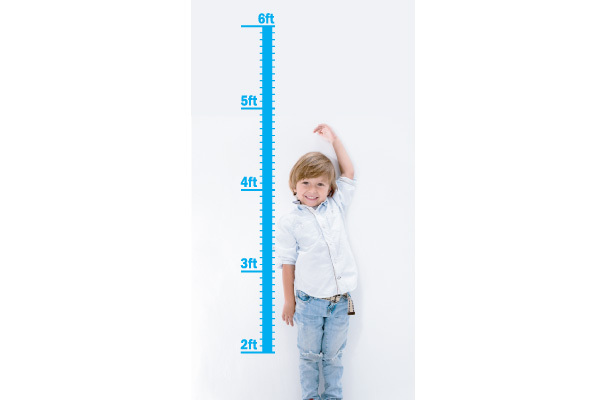 Keep track of your fast growing youngster with our growth chart stickers. Offered in a wide selection of colorful options that you’ll love! You can even write dates directly on the decal for everlasting memories. Finally, a mirror-like decal that comes in polka dots! This comes with 76 different sized circles that you can place anywhere you like. Close together or far apart, it’s all up to you! Truly personalize your child’s room by placing their name or favorite phrase in our fun font. Use up to 15 characters with 32 color options. It’s the perfect way to teach a youngster their letters and numbers. Take a trip under the sea with this fun and colorful decal. Your child will love the octopus, fish, lobster, bubbles, and fellow snorkeler. The possibilities are endless! 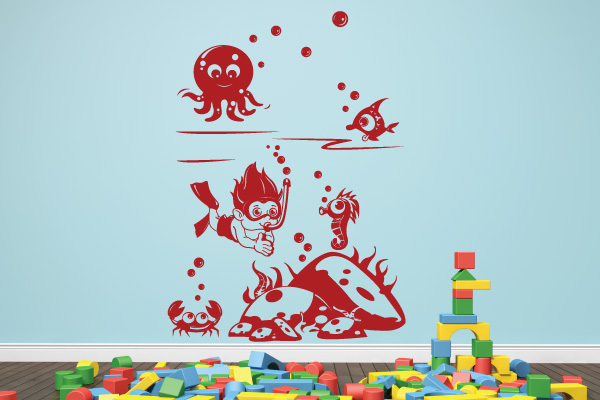 From high in the sky, to deep below the oceans, our amazing wall decals are sure to please even the most imaginative youngster. 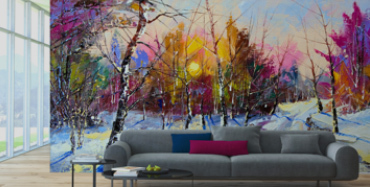 Wall art brings an element of invention while providing a never-ending space for exploration. Make believe and pretend never looked so good!